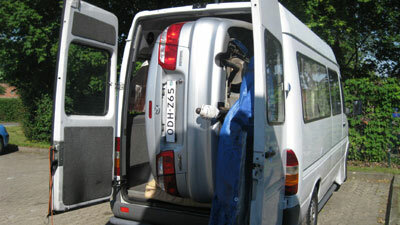 Police in Germany were stunned when they pulled over a white van - and found a car packed on its side in the back. Two men from Kazakhstan had decided to save on a trailer cost after snapping up the silver Mazda 626 to ship back home. When the car didn't fit in the van the proper way up - the two men called a few pals and loaded it in on its side - putting a mattress underneath to stop the doors getting scratched. The trip back home for Konstanty Krol, 38, and Cezar Chmielewski, 28, came to an end when police stopped the heavily laden vehicle after seeing it lurching from side to side in Bargthheide, Germany. Konstanty told the German Herald newspaper: "I don't know why we were stopped - we had taken great care to get the car into the van. It was safe - we hadn't noticed any problems. "It is a long way back to Kazakhstan with petrol prices as they are it would have been too expensive to drive the Mazda back. 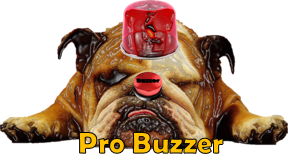 We didn't have a trailer, but it fitted perfectly into Cezar's white van." A police spokesman said the van and the car were confiscated and the men ordered to return with a proper transporter for the car before they would be allowed to continue the journey. The spokesman added: "It was bizarre. I have no idea how they got the car into the van as it would have been very heavy. Amazingly the car didn't have a scratch on it - even though it had been rocking from side to side in the van. "Nevertheless we cannot allow dangerous loads on our motorway. It was a danger to other road users as well as themselves. The van could have toppled over at any time."